Social media marketing is all about clicks, likes, and shares. Do you ever wonder what content gets shared most on social media platforms? 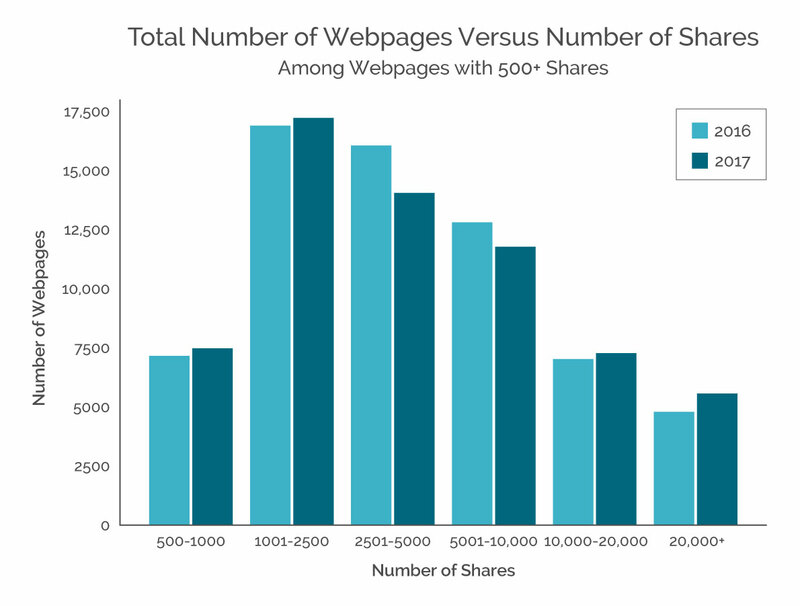 Do certain formats, message lengths, and search rankings lead to a higher number of shares? All good questions. To help answer them, data researcher Neil Growista evaluated 50,000 pieces of content that garnered 500+ social shares in 2016, and another 50,000 that tallied 500+ social shares in 2017. Below are his findings. Two groups of websites, he discovered, increased their share totals from 2016 to 2017. 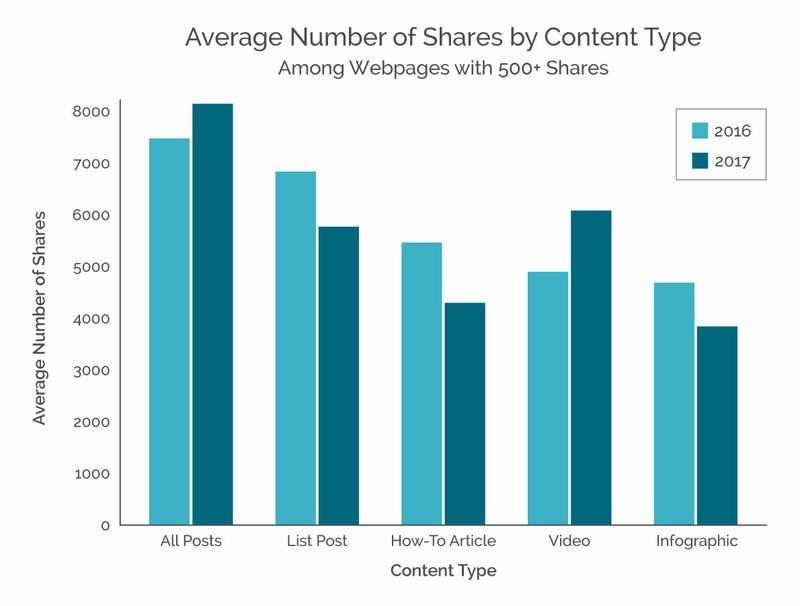 Those that received between 500 and 2,500 social shares, and sites above 10,000 shares. Interestingly enough, the sites with 2,500 to 10,000 shares in 2016 actually decreased in 2017. 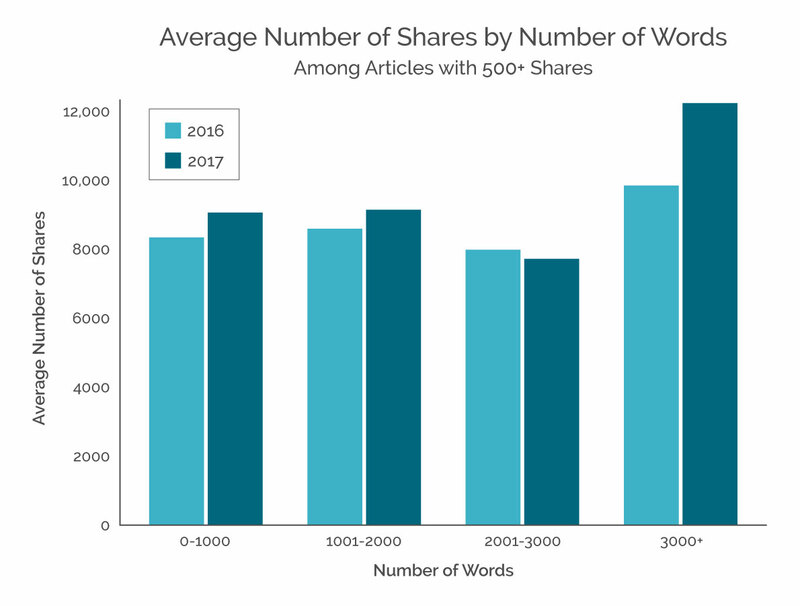 Looking at content types, Growista found that text-based articles on general topics received, on average, the highest number of shares in both 2016 and 2017. The average number of shares for video content, meanwhile, jumped significantly in 2017. Here’s another interesting trend—reading is making a comeback. When it came to length, readers were more likely in 2017 to share content with 3,000+ words than they were in 2016. 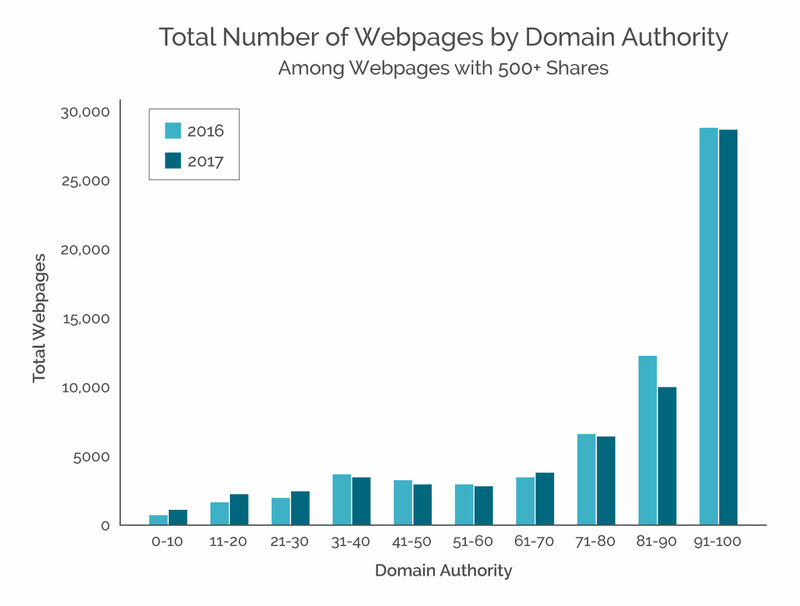 And, finally, on average, content from sites with a higher domain authority—or higher search ranking score—received more social shares than those with lower rankings. The moral to this story? Build your brand, give viewers the video and in-depth content they want, and work on raising your site’s domain authority. Based on What Goes Viral: Learnings From 100,000 Popular Content Pieces by Ayaz Nanji.